Listed as nationally endangered during 2016, the Carpentarian Grasswren is an iconic species of the Southern Gulf Region. With logistical support from Southern Gulf NRM, Birdlife Australia volunteers conducted surveys for the bird during early 2016, confirming that the majority of populations exist in long-unburnt spinifex grasslands, to the north and west of Mount Isa. 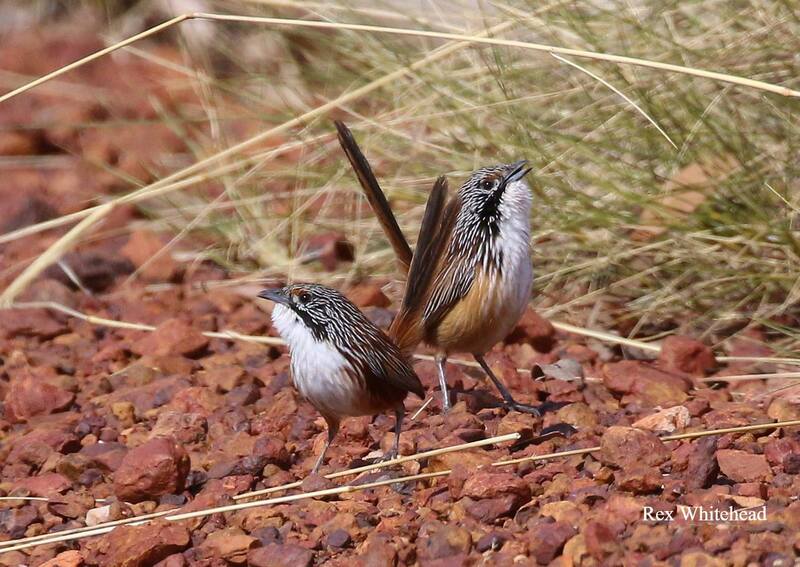 Fire is the key to the future of the Carpentarian Grasswren. Adapted over millennia to an Indigenous-managed fire regime of frequent, patchy and low-intensity fires, Grasswrens moved from patch to patch to find suitable unburnt habitat. With the decline of Indigenous fire management practices, modern fires tend to be less frequent, but much larger and more intense. This can lead to the removal of suitable Grasswren habitat over very large areas and has been implicated in the decline of the species. Large fires are a problem for pastoralists too, destroying extensive areas of vital cattle grazing pastures. Grasswrens and pastoralists share an interest in best practice fire management. In this project, Southern Gulf NRM is building partnerships to implement fire management practices that benefit both Grasswrens and pastoralists. After planning and training activities are completed, our aim is to implement improved fire management practices over 450,000ha of vital Grasswren habitat. Project partners: Birdlife Australia, Kalkadoon Traditional Owners, Queensland Department of Environment and Science, Queensland Parks and Wildlife and Queensland Fire and Emergency Services. Implementing grazing best management practice through demonstrating how timely management decisions enhance pastures, groundcover, soils, land condition, business profitability and adaptability. Managing cattle production in the rangelands of northern Queensland is a challenging job. E-Beef Smart Farming in Northern Queensland aims to support producers by showing how technology can support timely management decisions that enhance pastures, groundcover, soils, land condition, business profitability and adaptability. E-Beef Smart Farming in Northern Queensland will establish on-ground, regionally relevant smart farms using innovative technology to enhance grazing management. The project will include a comprehensive extension program to accelerate the uptake of whole-of-business grazing best management that when adopted will improve the natural resource base and profitability of beef enterprises. Extension professionals will partner with collaborators to maximize impact and ensure industry relevance. 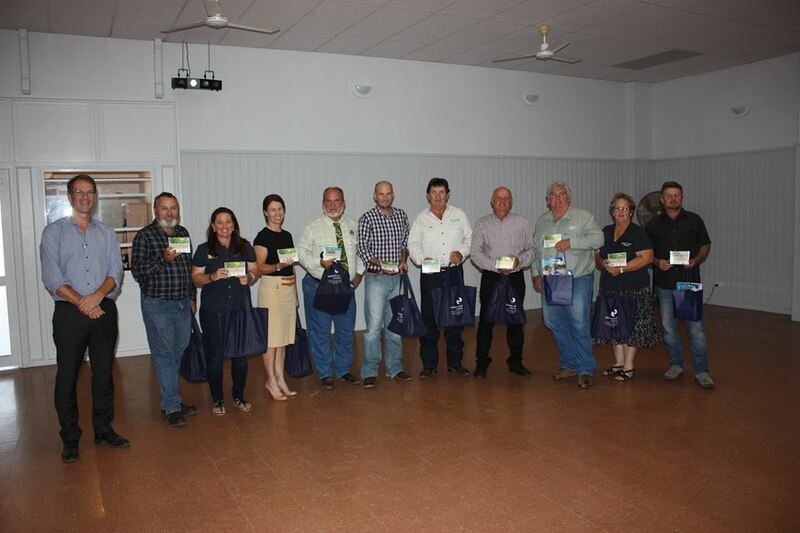 E-Beef Smart Farming in Northern Queensland commenced in August 2018. 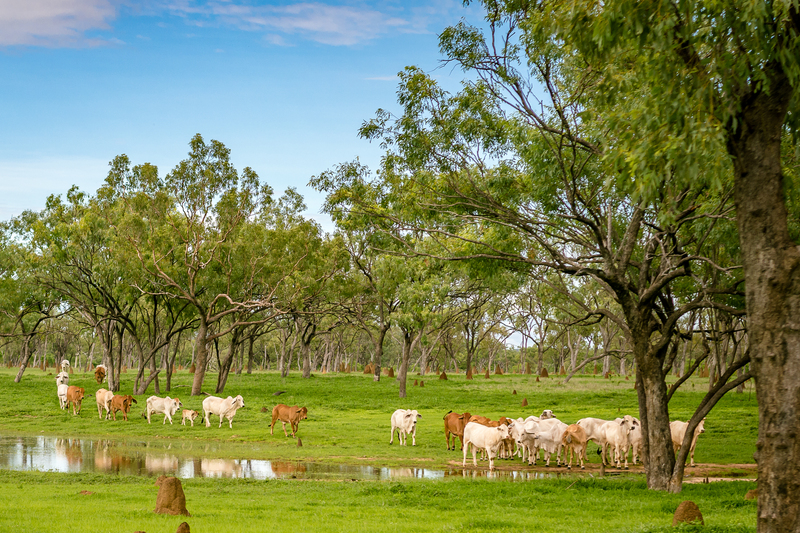 At the core of the project is the establishment of E-Beef Smart Farms in each of the three northern Queensland NRM regions – Southern Gulf, Northern Gulf and Desert Channels. The E-Beef Smart Farms will be a focus for demonstration and extension activities. E-Beef Smart Farms will demonstrate that groundcover, land condition, animal performance and marketing are intrinsically linked, and that business resilience is strengthened through integrated management of both natural resources and animal production. Two properties per region will be selected to become E-Beef Smart Farms. 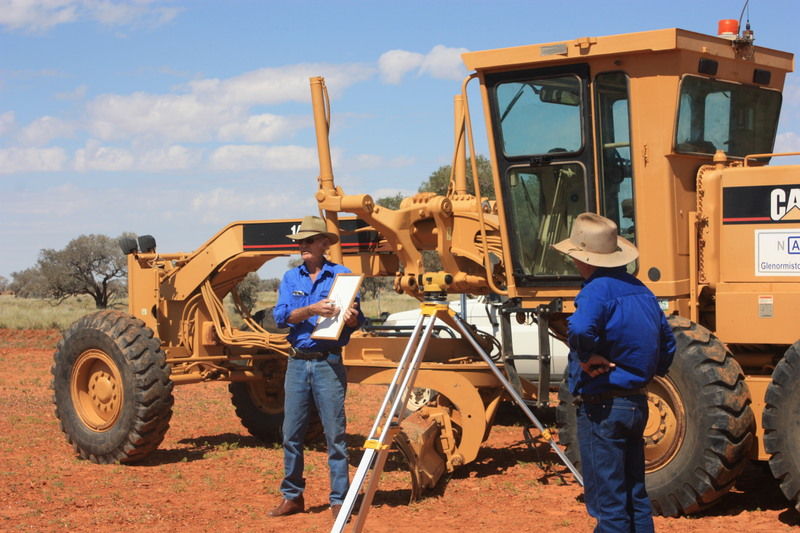 The project will fund installation of Tru-Test Remote walk over weighing (WOW) technology adjacent to a water point in a commercial paddock to regularly record cattle weights. Liveweight and satellite ground cover data will be reported weekly to allow graziers to better understand the relationship between cattle weights and pasture levels. Results will be shared as part of the project’s extension program. Business analysis using the AgriHive FarmEcco system will be a component of the Smart Farms’ activities. Graziers interested in joining Smart Farms Innovation Hubs will also participate in the business analysis and have weekly access to liveweight and cover data. Members of the Innovation Hubs will be linked “virtually” by the provision of data and through FarmEcco. A few grazing businesses will have the opportunity to trial other technologies applicable to the industry. E-Beef Smart Farms will be selected through an open expression of interest process in the months prior to Christmas 2018. One Smart Farm per region will be established in early 2019 and a second will commence from July 2019. Project Partners: E-Beef Smart Farming in Northern Queensland will be delivered by a partnership between the three regional NRM organisations: Southern Gulf NRM, Desert Channels Queensland and Northern Gulf Resource Management Group, and the Queensland Department of Agriculture and Fisheries. Other partners will be invited to contribute as the project progresses. Project Funding: Project partners acknowledge with thanks the funding provided under the Australian Government’s Smart Farming Partnerships Program. 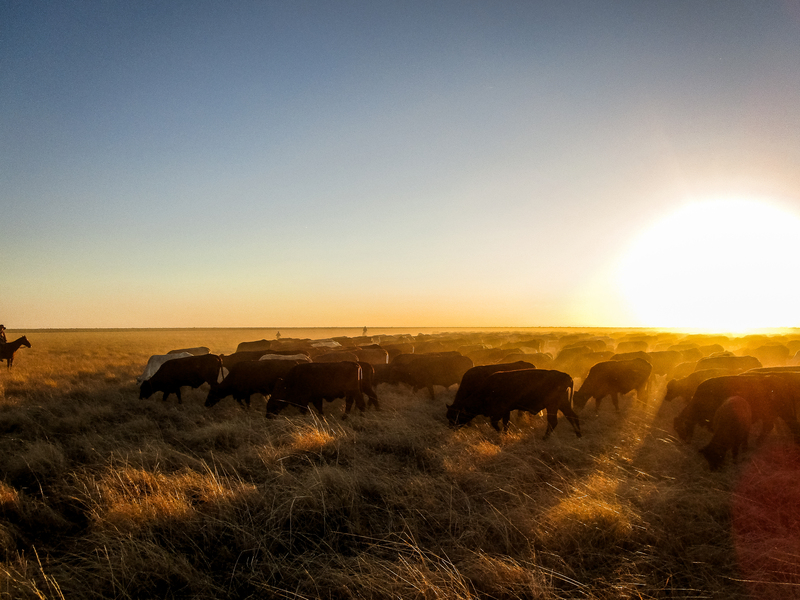 Co-funding is provided by the Queensland Government’s Drought and Climate Adaption Program (DCAP) that aims to improve drought preparedness and resilience for Queensland producers. assess and develop strategies to address your natural resource management issues. Deciding on a targeted grant program. Individuals and groups of graziers are invited to take action now by attending upcoming events or registering your interest. Despite the enormous size of Southern Gulf cattle properties, producers know their properties like the back of their hand. But the back of the hand is not a very convenient mapping system so Southern Gulf NRM works with producers to develop property plans using our geographic information systems. These plans map property infrastructure and key landscape features that provide the basis for sound property management. Technology is providing new approaches to mapping, bringing mapping tools direct to farmers via the internet. 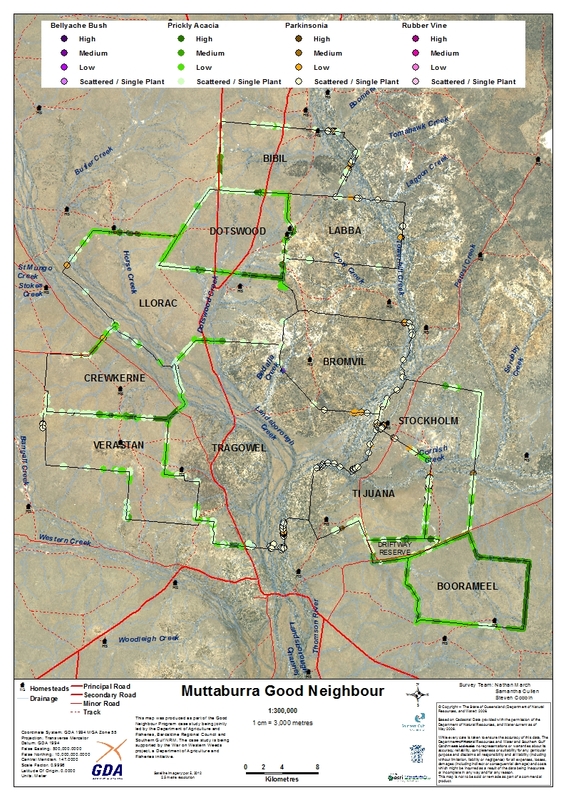 Through the Rangelands NRM Alliance, Southern Gulf NRM is an investor in the development of the very popular Spatial Hub mapping tool. Increasingly our mapping services will shift towards supporting property managers undertaking their own mapping using the Spatial Hub tool. Building capacity for sustainable land management lies at the heart of Southern Gulf NRM’s Regional Landcare Facilitator project. Our RLF project contributes to developing a skilled and capable Landcare and farming community within the Southern Gulf region. It aims to increase community engagement and participation in NRM, building capacity, knowledge and skills to better manage natural resources. There is a strong focus on promoting the Landcare ethic and sustainable grazing practices to graziers. Landcare, production and community groups are assisted to seek funding, membership and resources for NRM activities and to build their capacity and skills. The Regional Landcare Facilitator is an “enabler” who supports the regional community to achieve these outcomes. Highlights of the RLF project during 2016 including organising well supported soil erosion field days to build knowledge and skills about road drainage and other practices that reduce the risk of soil loss and damage to infrastructure. A well-attended field day at Richmond focussed on innovation in weed control. Building community capacity in grant applications was the focus of a series of regionally-based workshops organised by our Regional Landcare Facilitator. Promote and support stronger governance and leadership, Guide and support skills development, and Facilitate resource sharing to achieve more efficient and effective utilisation of scarce regional resources. The focus of the project is on building capacity in local government and other partners with relevant roles to achieve better management of invasive plants and animals in the Southern Gulf region. Project Partners: Southern Gulf NRM, Local Government in North West Queensland, State agencies and Indigenous communities. Project Funding: Building Better Regions Fund Community Investments Stream Round 2 under The Australian Government Department of Industry, Innovation and Science and The department of Infrastructure, Regional Development and Cities.